As this school year begins in a week and a half, I find myself having to make a lot of decisions about things my kids will and won’t be involved in. 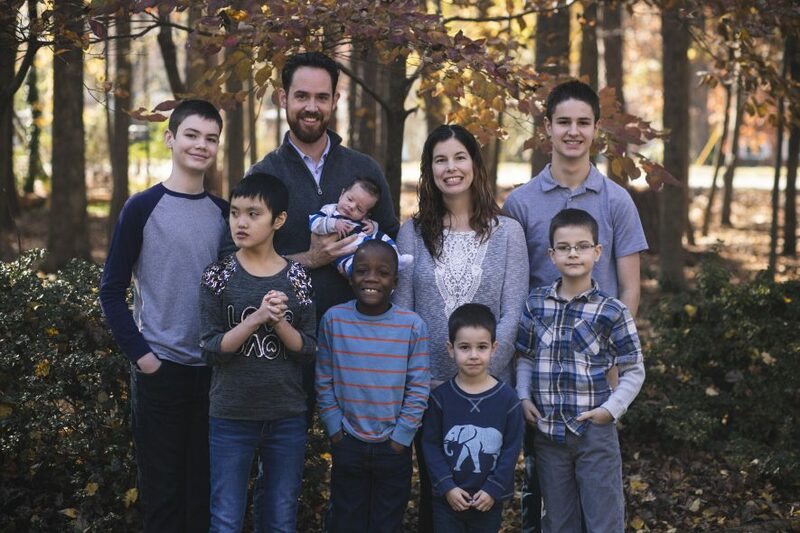 With six kids, the list in endless of things each of them could do. I have two kids with special needs and there are enough types therapy that they could be involved in a therapy every day of the week. Then there are school activities and church activities. There are home school activities for our homeschooled kids. And then there are activities for us as a family and each of us as adults. The list in endless! My job is to try to balance all of it and keep some sense of order in this house and not run around like a ragged mommy in a taxi cab. The most recent issue I have is one of what types of therapies for my special kiddos to be involved in. Joshua gets speech therapy at school, then he was in behavioral therapy at home once a week last year and just started hippotherapy (that’s therapy on a horse for those of you who thought it had something to do with large land zoo animals) this summer. Kaki has physical, occupational and speech therapies at her school and then started hippotherapy this summer as well. I was trying to figure out if we could continue the hippotherapy for both kids this school year. The issue is not whether they are “getting anything positive out of it”. They are. The issue is how to balance it with the needs of the other kids. It would require me to be out for four hours during the school day. They would both miss school and it would take me away from my homeschooled kids, and the baby and preschooler would miss a nap time. I am really struggling with this. I know they would both benefit from this, but it just isn’t feasible. We decided to just keep Josh in hippotherapy because he gets less therapy at school and seems to have benefitted the most from it. That will keep Kaki in school and mean I am gone half the time from the other kids. It’s very difficult as a mom to say “no” to something good for my kids, but many times its necesssary, if it conflicts with what is best for the rest of the family. I try very hard to give all the kids equal time and resources if I can. It’s very easy to just spend all my time on the ones who have special needs or the ones who are the most needy, like our baby, but that isn’t good for the other kids. There is a lot of guilt about all this in my head. I want to do what’s best for each child but I can’t some of the time because it conflicts with another child. So, two things I am learning. One, just because something is a “good” thing doesn’t mean we should do it. Just because my kids can do a bunch of stuff doesn’t mean we need to. Life is a balance and we have to do what is best for us as a family not just what is best for each individual. Second, I don’t need to feel guilty about the choices I have to make as a mom. I need to trust that God will show me what is best for us all, and even if someone else thinks I am doing the wrong thing, it doesn’t matter.